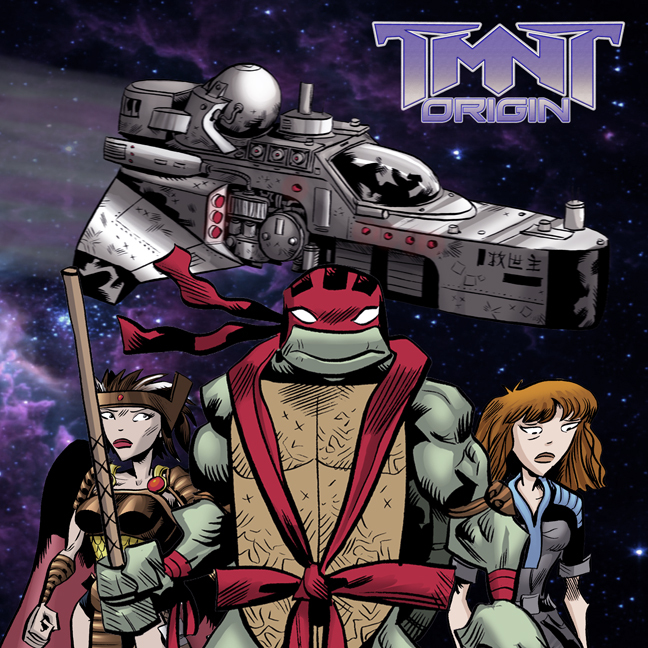 Just talked it over with Jim Lawson and we'll be revving things up soon on a new graphic novel project in the vein of "Odyssey" called "TMNT: Origin." It's Mirage TMNT-based. Jim is drawing it. It's going to be heavy sci-fi. Donatello, a Triceraton, Leatherhead, Jhanna (remember her? ), and Dr. X (the Utrom) board a spacecraft specifically built to travel to the center of the universe to unlock the secrets of the beginning of all life from the wellspring of the Big Bang. For Donatello, this is more personal: it means unlocking -- potentially -- the truth behind he and his brothers' apparently accidental creation. Their journey across space is vast and there are unexpected discoveries along the way. And surprise guests. And answers. Last edited by Andrew NDB; 03-31-2019 at 05:41 AM. Jesus Christ. I want innnnnnn. Sounds great. Sounds interesting. I'll help any way I can if you need it. O wow, this is very very very exciting news! If you need help with anything, I'd be happy to help. Will you use indiegogo again for funding? This is great news, can't wait! Were do you keep coming up with all these great ideas? Odyssey sounded amazing, and this sounds great! Sounds amazing. Keep us posted on how to help. At this rate they'll be a whole series of Andrew Modeen TMNT comics. This is what, comic #5? I wonder where the funds are coming from. Forgot to mention Jhanna... she's a lead in it too. Remember her? Also, this will be in full color from Sabacooza/Courtland Brugger. There's going to be too much crazy stuff going on in this that would be diminished if in B&W. That pitch is Miragey as all ****. If you need any help in the art area, let me know. I would love to help out. Damn son, you and Jim are on a roll. "Lawson & Modeen's Teenage Mutant Ninja Turtles." That actually sounds really f***ing cool. Andrew don't you think you're putting a little too much on your plate, with 3 TMNT comic projects going on at the same time, among everything else you're involved with outside TMNT? I want so much Don is the lead so you got my vote Andrew. What is the status of TMNT vs. Predator at this point? I'd be curious about the TMNT vs Predator also. It's the little engine that could at this point. It's in the works but I wouldn't expect it in the immediately foreseeable future.